In contemporary society, interacting with mobile devices and engaging with the variety of activities that can be played on them - such as gambling, social networking and games - has become increasingly popular. Spending time on smartphones, to a certain extent, is not an entirely bad thing. Applications that are available for download can help in battling boredom, connecting with people from across the world, and finding information at your fingertips. However, you are also susceptible to become addicted to what phones today have to offer and that does more harm than good. One of the biggest addictions that have emerged with the advent of mobile devices is related to mobile gaming. A comparative study that researched mobile gaming across the globe stated that smartphone gaming as a form of popular entertainment accounted for 24% in Africa. This percentile is thought to grow steadily for years to come. In addition, video game sales in South Africa have grown by 23.1% from 2011 to 2016. Games played online are more accessible to us now that there are plenty of "freemium games" on the market. This term is used to define the games that can be downloaded for free, and run with the help of advertisements. Such accessibility leads to the rise of addiction related to mobile games. Some studies also suggest that an addiction to smartphone gaming can be as damaging as cigarette addiction. 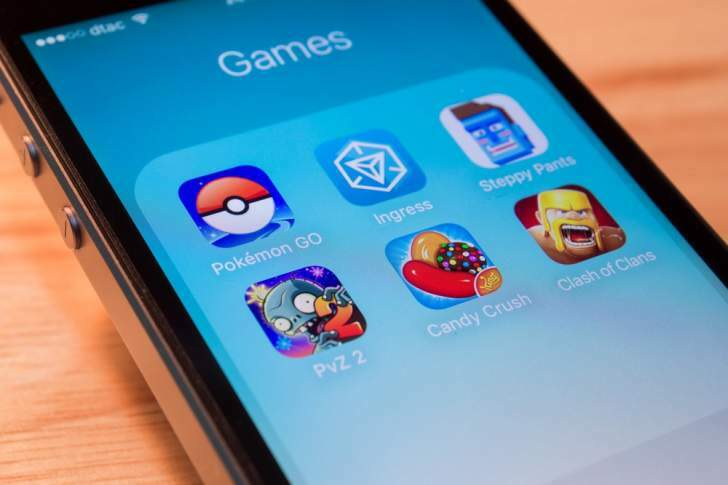 This is not only because any form of addiction is known to take a toll on your health, but also because the mobile gaming platform is not a limited one. There are several kinds of games that can be found and easily downloaded or even pirated, so there are games that appeal to everyone. Online gambling, facilitated by apps that can be installed directly into phones, combines gaming as well as gambling addiction. It does not help that some of the best South African poker sites are easily available for download. There has also been an increase in the number of teenagers and young adults who play online games for a living, and this influences the audience who watch them. Children, especially under the age of 12, are more likely to be influenced by what they see online and practice it in real life. Watching live streams and YouTube videos of peers who are constantly playing can result in a gaming addiction. Many families may not be able to afford the gaming consoles used by the influencers online, and so kids can turn to their mobile devices to play the games instead. Today, there are many games that can be played in all kinds of platforms: consoles, PCs and smartphones included. A growing number of children in South Africa have been obsessed with electronic games. The WHO has classified gaming addiction as a "clinically recognizable and clinically significant syndrome." Like most addictions, addiction to mobile gaming causes a problem with living a healthy life. The children are known to be withdrawn, perform badly at school, lack social skills and have troubled sleeping patterns due to their craze with mobile games. Although a statistic cannot be drawn for the children in South Africa who are suffering from this syndrome, one thing is clear: they are getting younger. An addiction to mobile gaming can be seen in the same light as substance addiction. A patient will always want to do it, even if they see the risk in doing it. It may have started because users wanted games to be a way of escaping reality and a method of meditation. However, it is when games are used to self-soothe that it becomes a problem. As gaming disorder is newly diagnosable, there is not a lot of research on it yet. There are some signs that may help in recognizing it. If the person concerned becomes withdrawn and experiences a lack of functional skills because they are preoccupied with the thought of playing their mobile game, it is a likely sign of addiction. They can also experience a sense of guilt from constantly playing. They will isolate themselves and potentially lose touch with reality. This disorder leads to physical manifestations, like migraines and fatigue from starting at the screen for hours. Carpel Tunnel Syndrome is also common among addicted gamers. Since gaming addiction is slowly becoming a global problem, it is important to realise that it is a diagnosable disorder and that it needs to be treated. The parents of children who are easily influenced by what they consume online should not take an addiction to gaming as a light matter, nor think of it as a "phase." An addiction to gaming is seen to be as harmful to health as any other form of addiction, and seeking the right kind of help sooner than later can hopefully aid in overcoming it.